This pack offers a time tested versatile design that is ready for any adventure. The Osprey Talon 22 continues as the top scoring pack in our tests. This award-winner was upgraded in 2017 and is now even lighter and more comfortable. After buying and testing the latest version, we confirm it is still the best of the best. Due to exceptional ventilation and the ability for a completely customizable fit, the Talon is one of the most comfortable packs we tested. No matter what activities you're into, the Talon excels in just about any application. With features like its helmet attachment, bungee attachments for trekking poles and an ice axe loop as well as a blinker clip patch, the features of this pack will make your life easier. If you're looking for a minimalist pack, check out the REI Co-op Flash 18 or Top Pick Marmot Kompressor 18, both of which weigh only 10 ounces. On a budget but want a relatively full-featured pack, the REI Co-op Flash 22 fits the bill. The Osprey Talon wins our Editors' Choice Award because of its excellent blend of comfort, versatility, and ease of use. Our testing procedure is the best in the business. We have experts in the field ponder and survey to develop a scoring rubric for every category. We then comb the market for the best of the best. Once that elite selection is in our possession, we evaluate each product against the weighted scoring regime we developed. The highest scoring product is our Editors' Choice. The Editors' Choice is almost always also the product we just like the best. That is a testament and cross-check to our scoring system. In this case, like most of the categories we assess, we are confident of our Editors' Choice pick. The Talon 22 is the highest scoring product and the one we would reach to over and over. The Talon 22 is comfortable during a wide range of activities. The back panel is fixed with Osprey's AirScape design and consists of a mesh covered, ridge molded foam that about the same ventilation as The North Face Litus 22. Both of these vastly exceed the ventilation comfort of the remainder of the packs we assessed. The BioStretch harness and hip belt of the Osprey Talon exceed the support and comfort of every other product in the test. Osprey, with all of their packs, does very well with suspension system and comfort. They manage to make packs that hold heavy loads stably, with comfort greater than any of the other packs, even when comparing the support afforded to smaller loads. It is impressive. It is the comfort of the Talon that truly earns it our highest award. While we liked this mesh covered ventilation design, it failed in comparison to some super breathable backpacks. 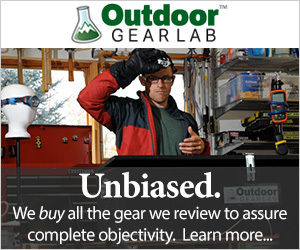 To address this, we tested the Osprey Stratos 34. The Stratos is rigid, with a three-dimensional frame that simultaneously lends support to the load and holds the pack away from your back for greater ventilation. We once dismissed such packs, because the rigidity compromises versatility. We now realize the error in our ways and have granted the Stratos 34 another Editors' Choice award for its prowess in dedicated hiking pursuits. The ventilation and support exceed that of the Talon 22. The CamelBak Fourteener 24 has a foam and mesh back panel that is similar to the Talon, while packs like the Litus 22 and Gregory Zulu 30 have more structured ventilation systems somewhere between that of the Talon and that of the Stratos. The mesh helps to ventilate your back during strenuous activities. Pay close attention to make sure you buy the correct size. We found that this pack runs a bit small on the average male frame, but fits more petite female frames perfectly. Also, the awesome padded hip belt was a bit snug on some of our larger male testers. Luckily, Osprey offers two sizes in this pack (S/M and M/L), as well as an extendable waist belt that can be added. The Osprey Talon, in size M/L, on our 5'10" lead test editor. This is a pretty good fit. Refer to our Buying Advice Article for instructions on measuring yourself for a pack; another option is to visit your local outdoor retail for a professional fitting. One size does not fit all. But close. All the extra features on this pack add a little weight, and the Talon, at 27 ounces, is among the heavier packs in our review. If you are a fast and light hiker and want something more streamlined, you might consider our Top Pick Kompressor 18 or the REI Co-op Flash 18 both of which are the lightest packs we tested at 10oz. The REI Co-op Flash 22 has a volume closer to that of the Osprey, with suspension more sophisticated than the ultralight packs, at a compromised weight of 15 ounces. The latest version of the very comfortable Deuter Speed Lite 20 is just an ounce heavier than the REI 22. Of course, there are packs much heavier than the Editors Choice. Notably, the CamelBak Fourteener 24 is a full 20 ounces heavier than the Talon. The other Editors Choice Osprey Stratos 34 is twice the weight of the Talon. This pack is tricked out with features to make it the perfect option for almost any scenario. Whether you're a weekend warrior or living a dirtbag lifestyle, the Talon will easily take you wherever you need to go. From the office, travel, and to the outdoors, this pack excels. All of the extra carrying features add to the versatility. With the helmet attachment, you can bring this pack on a commute, and there is no need to try and stuff your helmet inside, as you can rig it to the outside. If you love lashing stuff to the outside of your pack, peruse our review of the Deuter Speed Lite 20; the Speed Lite has one of the most innovative strap systems that we've seen. The trekking pole carry feature on the Talon lets you quickly go hands-free and get your poles out of the way without ever taking off the pack. For winter warriors, stash your avalanche gear in the pack, put your crampons in the stretch pocket, and attach your ice axe to the loop. The 'just right' sized side mesh pockets, with a standard 1 liter Nalgene bottle. Due to all the features, the Talon lost a couple of points for ease of use because of the slight learning curve. Don't overlook the amenities just because you feel overwhelmed; learning to use all the bungees and adjustments took us only a few uses. Once we figured how to appropriately and efficiently use some of the features, like the ice axe carry and trekking pole attachment, the pack is pretty fantastic and rather handy. The good news is that, once you learn all the features, none of them impede the others. For instance, the externally accessed hydration sleeve allows for water fill-ups without disturbing your carefully packed main compartment. Also, the generous horseshoe-shaped main compartment zipper is unfettered by straps. The close competitor Litus 22 has a long zipper, but a strap crosses it. Packing up the Talon on a dreary day hike on the East Coast. The helmet attachment is an excellent addition for commuting and is super easy to use; it works best with a helmet designed for biking, but can also be used with a climbing specific helmet, though a little less secure. To attach your helmet, just slide the plastic end through a ventilation hole, flatten it out and voila! It works best if you've already loaded the pack, and there is an option to tighten the bungee cord for added security. There is also a stretchy mesh stash pocket covering the outside of the pack. This is handy for quickly stuffing an extra layer or even crampons (appropriately wrapped, of course!) The blinker attachment is fixed at the base of this pocket, meaning that there's an open drain hole ideal for drying out wet socks from water crossings or even sandals while you continue to hike. The harness is not only entirely adjustable, but it's one of the easiest to adjust we've encountered. You can customize the shoulder straps by undoing the Velcro inside the hydration compartment and moving the straps to where you want them. You can also use the load lifters on top of the shoulder straps to adjust the load, as well as a fully adjustable and padded waist belt. This is the only daypack we tested that allows a fully customized fit. For a full rundown on how to adjust your pack properly, check out our Buying Advice. Dedicated bladder features make it easy to stay hydrated. The stretch woven side pockets are equipped with Osprey's InsideOut compression straps. This is a great feature to secure smaller items, like sunscreen bottles, but they do prove problematic with some water bottles. The pockets are large enough to accommodate a traditional 1-liter wide mouth Nalgene, although the compression straps do raise some difficulty in getting the bottle back into the pockets without taking the pack off. This pack held up well in all of the situations we tested it under. From the desert, snow, bushwhacking, to road biking and in-town commutes, this bag excelled without any signs of wear. After enduring 24-hours of drizzling rain and snow on one occasion, the Talon's contents were only marginally damp. We were pleasantly surprised, however, to find that the contents in the top zippered pocket remained dry. With an extra bit of fabric provided to cover the zipper, no moisture was allowed to seep through. If you're concerned about the elements, you can purchase Osprey's Hi-Vis Raincover. We love how easy it is to clip a helmet to this bag. If you're looking for a pack to accompany you mountain biking and general commuting around town, you'll love the helmet carry and blinker clip feature when heading to the grocery store with your Talon. For spring summit attempts or general day hiking, you'll love the ice axe attachment and pole stowing feature while the Talon accompanies you on the trail. The best part about the Talon is the versatility you'll find with it, which is why we've made it our Editors' Choice award winner. It is not only suited to trails or the backcountry, but is also comfortable around town, on a bike, and just about anywhere you need it. For day hikes in all seasons and all climates, the Osprey is nearly perfect. Not only does this pack come jam-packed with features, but you'll also be getting a pack with fantastic adjustability and comfort; coming in at $110, you're getting a great deal. It is the most expensive pack we tested, but it will last a long time and can be serviced with Osprey's generous warranty. Regarding value, we like to think of the "cost per day" of a product. Look at the REI Flash 22 or Trail 25 vs. the Osprey, especially if your needs are simple. It was easy to grant the Osprey Talon 22 our Editors' Choice award. It has earned this honor before, but we don't rest on that conclusion. In each update, we secure the latest version and compare it to the rest of the field. Whether we are updating or starting from scratch, our critical evaluation scheme shakes the best to the top. And the Talon 22 is at the top of this category.